True Craftsmanship and customer service has never been so affordable. Carlisle;s Home Improvements has been providing customers with true craftsmanship while keeping projects at a price that wont break the bank. Gary Carlisle has 30 years experience in the construction industry for over thirty years. Starting at 16 working as a carpenters helper thru high school. After High School he joined Carpenters Local 132 in Washington Dc and went thru a extensive four year Carpenter;s Apprentiship program where he was awarded his Journeymans Card. He later became one of the Dc, Md, and Virginas leading Construction Superintendents receiving letters of recognition from well known companys such as Lockhead Martin, SAIC, Fairfax County Goverment, The Ford Motor Company and more. 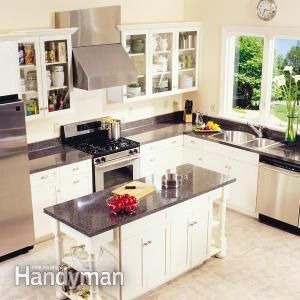 He decided to follow his dream of starting his own bussiness creating the Carlisle;s Home Improvement Company in the early 90's where he has been passing his 30 years of experience on to his customers. Carlisle's Home Improvement is dedicated to providing top quality work and total customer service while keeping our prices affordable. Carlisle's Home Improvement in Fredericksburg, VA specializes in bathroom remodeling, kitchen remodeling, basement remodeling, home builders, and additions work. 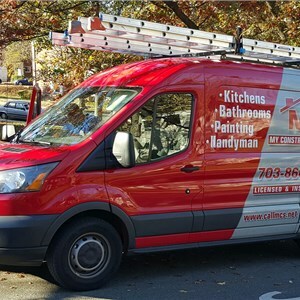 Carlisle's Home Improvement has worked on projects similar to Bathroom Ventilation Fan in Manassas, Bathroom Renovation in Clifton, and Scottee's Upstairs Bathroom in Burke. Costs for projects in Fredericksburg, VA can average $21096. Project sizes can range from $6150 to over $65300. When planning for your project, make sure to get multiple quotes and compare. Please note these are sample averages and to get accurate prices an estimate is needed from Carlisle's Home Improvement.